FJL offers outstanding professional development opportunities to bright and ambitious future Jewish leaders. Our range of courses and programs provides an in-depth understanding of the theory and practice of Jewish leadership, as well as Jewish perspectives on a host of legal, political and social issues associated with the modern world. The Onward-Israel program is operated through a partnership with FJL. During the trip, participants will take part in a seven week internship at top Israeli and multi-national firms based in Tel Aviv, and build their resumes. Participants will work in the area of their interest whilst gaining a prestigious experience to aid future job applications. Aside from the internship component, participants will attend exclusive, interactive seminars, gaining insight and advice from some of the most high-powered political, business and hi-tech leaders worldwide. Additionally, participants can partake in FJL’s partnership with Tel Aviv University and gain academic recognition at their home university. These experiences will contribute toward building an international network of resources and contacts to help the participants’ professional and social progression. In addition, participants will engage in a phenomenal opportunity to explore their heritage and address the big questions Jews face in the modern world with renowned educators, and like- minded peers with whom they will forge new, meaningful and longstanding relationships. A full summer of leadership opportunities and personal growth on the backdrop of the scenic and historic sites of the Modern State of Israel. Applications will close on March 15, 2018 or earlier if the program fills. Acceptance and internship offers will be on a rolling basis following the interview process. $599 – This is a subsidized price and includes accommodation, Shabbat programs in Tel Aviv, and activities. The real cost of the program is circa $7,000 but all students will receive this reduced price. 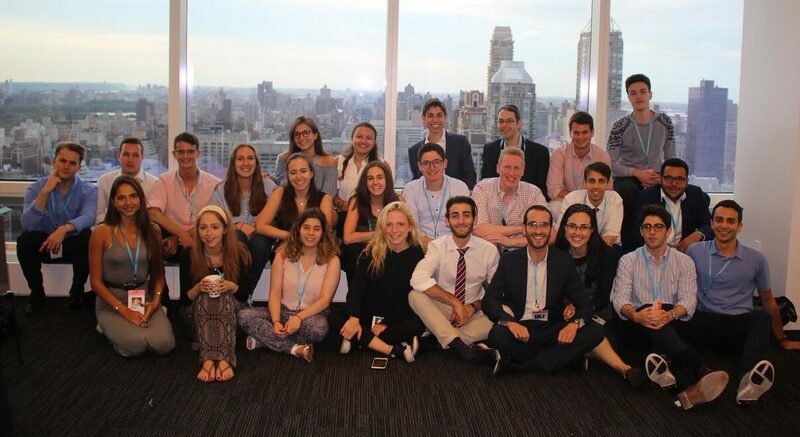 Applications are open to New York-based Jewish students who have completed at least one year of university. FJL is aimed at hardworking, ambitious students who are committed to making the most of themselves and the world around them. Students should be ready and committed to engage in the unique opportunities on the program. For More Information Contact: Yael Seruya, International Project Coordinator, yseruya@jewish-leadership.com. Internships are available in a variety of sectors including business, finance, law, media, journalism, politics, hi-tech, medicine and NGOs. All of these will be based in Tel Aviv and are an ideal opportunity to build your CV and create a prestigious experience to aid future job applications.